In this landmark book, leadership scholar, author, and consultant Dave Ulrich proposes a “leadership capital index”—a Moody's or Standard and Poor's rating for leadership. 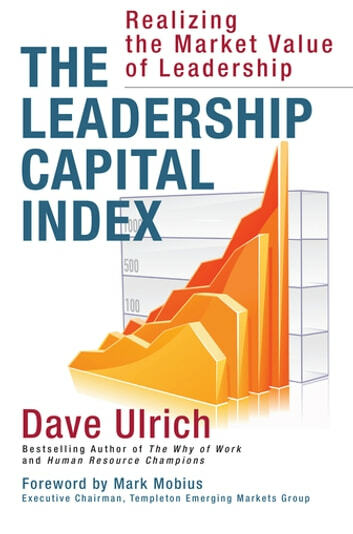 Drawing on research from investors and business leaders, and synthesizing the work of dozens of consulting firms and leadership experts, Ulrich analyzes two broad domains, each comprising five factors. The *individual domain includes personal qualities, strategic prowess, execution proficiency, interpersonal skills, and fit between the leader's style and the organization's market promises. The organizational domain encompasses a leader's ability to create customer-focused cultures, manage talent, demand accountability, use information to gain competitive advantage, and set up work processes to deal with change.